For many high school students, back to school unfortunately means a season of stress and schoolwork. As classes pick up and students buckle down, it can be easy to get lost in the rigors of advanced coursework, team sports, and other commitments – and in the fall, it makes sense that summer feels very far away. However, it’s important to note that college admissions teams are looking for students who have demonstrated the drive to pursue their interests. A student who thinks ahead can position themselves well to accumulate impressive and meaningful extracurricular credentials, while a shortsighted start to the school year can leave a student at a disadvantage when they finally turn their attention towards springtime or summer plans. Forming a school club can be a great way for students to engage with an interest or passion, build a community of students with similar interests, and demonstrate leadership abilities and initiatives. However, many schools have allotted time periods during which students can form a club – oftentimes at the end of one school year and at the beginning of second semester. If you’re interested in forming a club, it’s worth looking into whether your school will have a designated period during which you can formally apply to create an official club. You may have missed the deadline for Fall 2018 (or maybe not! ), but forming a club takes work and it’s a good idea to get a head start if this is something that seriously interests you. Look into what the requirements are – you may require a teacher to sponsor your club, might have to come up with a mission statement and charter, or maybe design a calendar of events. It can also be a good idea to begin meeting informally – that way, when it comes time to propose the idea to your school administration, you can point to an existing framework and membership that will more easily translate into an official school club. The beginning of the school year is also a great time of year to explore new interests or continue exploring those developed in the summer. If you are interested in journalism, see if you can get involved in the student newspaper. Did you do meaningful volunteer work over the summer? There’s likely a local organization that can use your help. The opportunities are endless – you can audition for the school plays, take up debate, or join the choir. But step one is assessing your interests and seeing what’s available; and if you wait too long the opportunity might very well pass you by. Pre-college summers can be difficult to plan for, in part because there are a wide range of options that are marketed in a variety of different ways. Some colleges and universities will run the same programs year to year, while others are consistently trotting out new options and new syllabi. Some programs don’t begin accepting applications until after the winter holidays, and some might not even have information available until springtime. Volunteer and Adventure programs operate differently from academic programs, and independent experiences fall into their own category entirely. 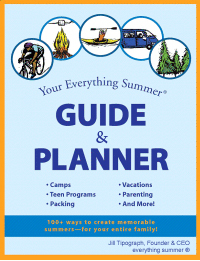 Given these complications, summer planning can be overwhelming and many students will wait until the end of the calendar year before even beginning the process of researching summer options. However, if you wait you may very well miss out – some programs, including truly competitive ones that can make a difference on your college application, have fall deadlines that require serious students to strategically plan ahead. If you have a particular interest – whether it’s engineering, business, or creative writing – and you think you want to dedicate some of your summer to further exploring this interest, you should plan to scope out summer offerings to ensure there are no right-fit programs with fall deadlines. One strategy is to look at the colleges and universities that are renowned in your area of interest – a top engineering school is more likely to run a competitive pre-college engineering program, a celebrated business school is more likely to have competitive pre-college business offerings, and so on and so forth. If information isn’t yet available for Summer 2019, you can use the Summer 2018 information as a general guideline – a program is unlikely to go from accepting applications through the springtime to having a firm October deadline, and the application requirements aren’t likely to change drastically. However, you should continue to check regularly until information is available so you’re well positioned to act once they are. Remember, competitive summer program applications are a primer to college applications – you will want to plan to write multiple essay drafts and consider your teacher recommendations carefully in order to give yourself the best opportunity to be accepted. By planning ahead, you give yourself the best possible chance to identify the right program options and put together a competitive application. With good reason, this is a time of year when we are very busy beginning our planning process with Everything Summer families. After all, it may still be fall, but it pays to be on the ball. Older PostWhen Summer Camp Isn’t a Success: What’s Next?